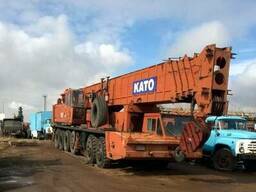 Mobile crane KATO NK-750YS-L cap. 75 t. 44 m. boom. year 1986. MAX load capacity - 75 tons. The weight of the crane - 61 tons. 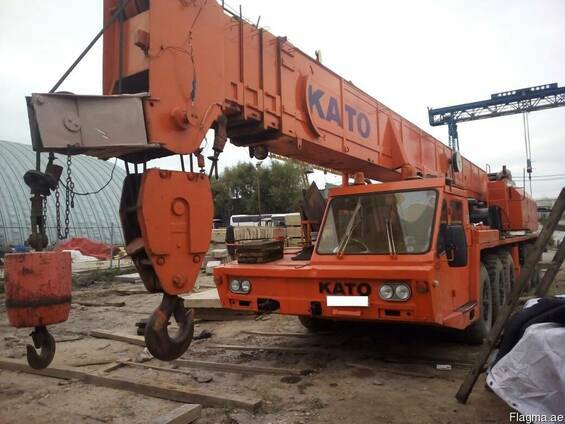 Crane on the go, everything works fine. Both engines Mitsubishi - OK, working fine. Hydraulic cylinders are exhausted, do not flow. Both winches are working !! A NEW cargo cable has been installed! Over the entire period of one owner. They never even allowed to rent. the machine worked only on their volumes.